Even an RFP response has a story to tell. The hardest part of writing any type of content is finding a way to get you (the lovely reader) to believe the promises made at the start, and move beyond them to the next sentences until you feel compelled to take action. That’s any kind of content, including a response to a request for proposal. Instead of a reader, it’s a buyer. And the action we want them compelled to take is to do business with us. We can’t move a prospective buyer down the path and fulfill early promises if there’s no plan for where the path leads. I can’t say “We’ll help you save more time with our solution, if you keep reading” without first developing a plan—a plan to show how our solution will save them time, money, or whatever it is that is the main benefit you have to offer. Responding to an RFP is no different. You want the decision-maker to get to the good stuff, but that means they’ve first got to endure all the technical stuff. The key to successful proposals—and to winning more opportunities with them—is to go into the writing process with a plan. When you’re speaking or writing for a known group, you have the benefit of acquaintance. When you’re an unknown quantity responding to an RFP, you’ve got to spend time laying out how you’ve interpreted the RFP and who you are as an organization to hook the buyer. The first part of your plan should be to familiarize yourself with the RFP to a point that you can easily summarize and repeat it back—which is exactly what you’ll do. Your proposal should lead off with a distillation of the RFP. This lets the company you’re trying to win over know that you’ve understood what’s being asked of you. It also shows that you’ve put the time in to understand the project. From the restatement of the RFP, you can jump right into your business’s resume, the offerings you have that will be the answer to your buyer’s everyday challenges. Any of the major strengths you’ve highlighted here should be applied throughout the response, using the executive summary as the guiding light that will make your RFP more effective. In movies, there’s a pretty common narrative device around planning. It’s the one where a character says, “I’ve got a plan—but it’s not going to be easy.” After you hear that setup, you can’t wait to find out what this awesome, yet challenging plan could be. The next section of your proposal is the business equivalent of that phrase. Let’s say you’re a marketing agency working on an SOW (Statement of Work). Here, you’re laying out how long your incredible team is going to need and what resources you’ll pull. While you shouldn’t be wantonly obscure with your planning, a little mystery can go a long way as long as it’s not too vague. Remember, each step of a proposal should move the decision-maker on to the next step. You want them to hit each section of the response, hungry for more. In the time and costs section of an SOW, that means having realistic expectations about resources and working in some more reassurance. Explain why your previous experience has led you to believe a project is going to take five weeks. What about the last project you completed that led you to a $125,000 estimate? Get the buyer to follow you along so that they’re itching to hear all the details of this wonderful plan that will ultimately help them be more successful at their job. Now that you’ve set the scene, laid out how long the process is going to take, and given the decision-maker some ideas about cost, it’s time to fill in the blanks. There are more lessons to be learned here from content writing. Say what you need to say about a process and move on. People want the action to keep moving, not to hear the same thing phrased 15 different ways. Especially when SMEs get involved with the RFP response—and start adding technical jargon that no buyer will understand—the content needs to be finessed after team members contribute their responses. You want to position yourself as an expert, but you don’t want the buyer to miss out on benefits simply because they don’t fully grasp the offering. Trust in your process and explain how each step is related to the next and the previous. The details of your RFP response need to be a cohesive story, not a random list of tasks and technical lingo. Details are important. Sure, you’re explaining the process, but you’ve got to get the buyer interested enough in the details that they move on to the end of the proposal. 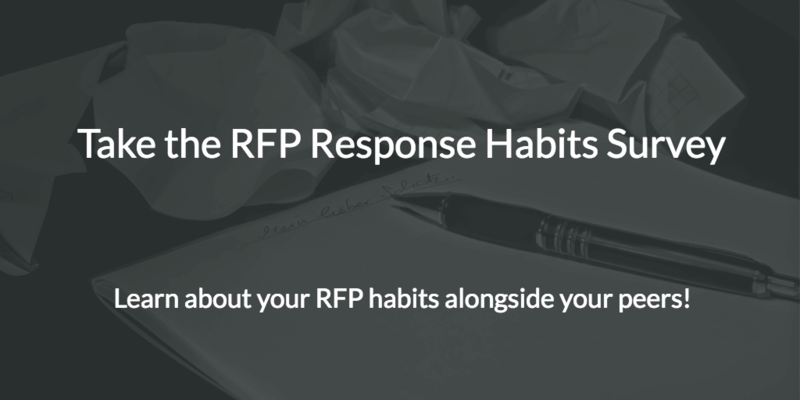 The goal is always the same with the work we put into an RFP response: to win them over. To have a higher chance of winning an RFP, the quality of the response you craft means everything. It can be disheartening to be crafty when you’re facing a proposal with hundreds of questions you have to answer. Especially when the deadline is…tomorrow. when the proposal lands in your inbox. There’s definitely a wow factor when an RFP response is both relevant and polished. Whenever you repurpose a previous response, take the time to make sure you’re highlighting the features and benefits for that particular buyer. They will sniff out a generic response, so give it a personal touch to showcase the value you can provide. I’d be a pretty poor technology proponent if I didn’t point out the value of some proposal software in all this. A good proposal software system can help you spend less time laying things out, hunting for content in spreadsheets, and chasing down SMEs and salespeople for their input. Instead, you can spend more time focusing on delivering the best possible RFP response that has a much better chance at winning. Proposal software will keep you on track by helping with: formatting, importing and exporting, document and content management, workflow, collaboration, and insights. It’s a pretty wise investment—spending more time planning your response and less time making sure it looks nice—by automating and streamlining all the fiddly bits. Listen to the podcast to find out how RFP software helped Smarsh win more! Regardless of how you put your RFP response together, get out there and do it well. The more RFPs you respond to, the more you’ll learn about the process. Practice, they say, makes perfect. It also means falling on your face a few times, but don’t let that deter you. Good luck! Andrew Marder is a writer for Capterra. His background is in retail management, banking, and financial writing. When he’s not working, Andrew enjoys spending time with his son and playing board games of all stripes. Connect with Andrew on LinkedIn. In general, I concur with the article. 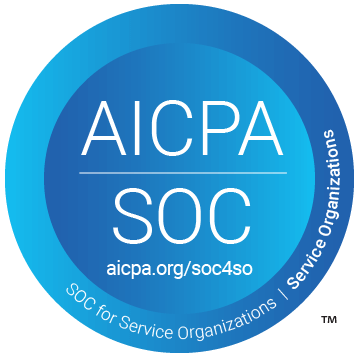 However, with the tight restrictions on page count, and the sections L and M requirements, PLUS the often voluminous SOW requirements, there is barely time/space to be compliant, let alone spend valuable space on restating the client’s requirements. Restating does nothing to PROVE you really understand. Having a cogent response with statements of fact, a good plan and relatable experience do. Of course, much of this depends on the client or agency. If they allow for what Andrew wrote, then the old saw of “Tell them what you are going to tell them, tell them, tell them what you told them” approach is great for the readers. Like in many things, “it depends” on the client, the circumstances, and the RFP requirements first. Thanks Randolph, we appreciate the input and you are absolutely right. The nature and scope of our response is often dependent on the parameters of the issuer. This points back to the reason why RFPIO exists, to help people make their response process more efficient and better overall.